Lots of local companies post their job vacancies on our Horley Online 'Jobs' page, however, if you are looking for work you can post your profile on this page. To post your profile use our contact form. Payroll specialist seeking part time work. I have over 30 years experience within finance, specialising in payroll in the last 3 years. I have comprehensive knowledge of both RTI and Auto Enrolment. I have just finished a six month contract and am available immediately. Sandra Elmer: 07779 162384. There is also lots of advice available online. We recommend the National Careers Service 'Looking for Work Online' website as a starting point. It has some very good advice. Apprenticeships: The Government website 'Become and apprentice' and the 'Careers helpline for teenagers' are also very informative. Did you know that Surrey and Sussex NHS offer a range of apprenticeships as well as local jobs at East Surrey Hospital? Visit their website for more info. Manor Royal is the large business park situated between Horley and Crawley on the edge of Gatwick Airport. It is home to to over 500 businesses and generates around 30,000 jobs. Visit the Manor Royal jobs page. 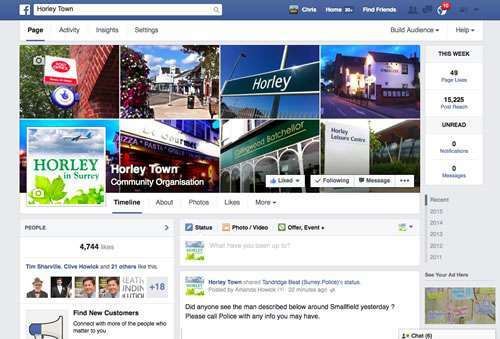 Horley Online along with Horley Town Facebook and Horley Town Twitter, reaches over 40,000 local people every week. You can advertise on Horley Online for just £60.00 per month. Click here and reach your local audience now. Want to know more? Call us now on 01342 841666 or use our enquiry form now. Click here for rates and advert sizes. Follow the local conversation now on Horley Town Facebook. Gatwick Airport offers a host of career opportunities for people who live in Horley and the surrounding area. 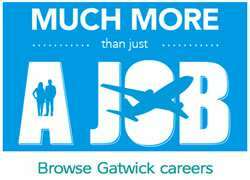 Visit the Gatwick Airport Careers Page.